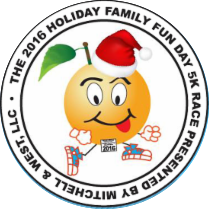 The 4th annual Mitchell & West, LLC Family Fun Day 5K takes place in scenic, Coral Gables during Holiday Season. It starts on Biltmore Way and loops by the Historic Biltmore Hotel finishes back at City Hall. The 4th annual Mitchell & West, LLC Holiday Family Fun Day 5K takes place on the scenic, tree lined streets of Coral Gables during the winter Holiday Season. It starts on Biltmore Way and loops by the Historic Biltmore Hotel and finishes back at City Hall. 5K start time: 7:30 a.m. Mile race start time: 8:30 a.m. Prize money for the 5K and Mile races this year! Event details and schedule 5K start time: 7:30 a.m. Mile race start time: 8:30 a.m.
More activities from WildSide Online Inc.